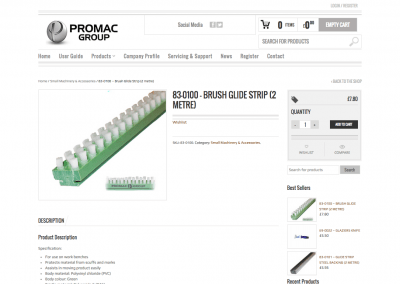 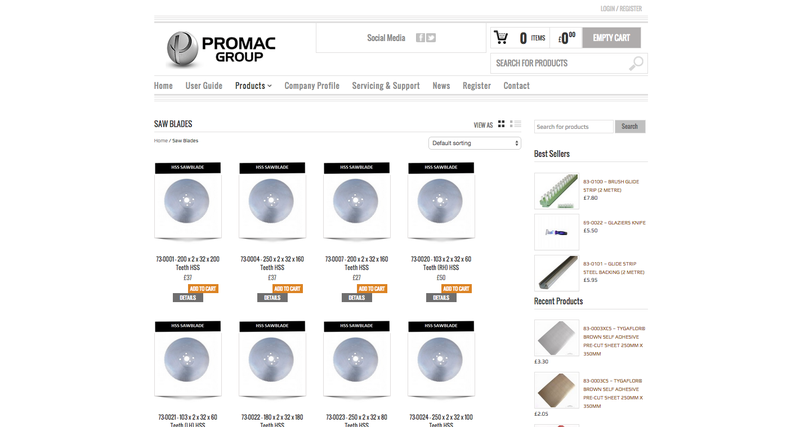 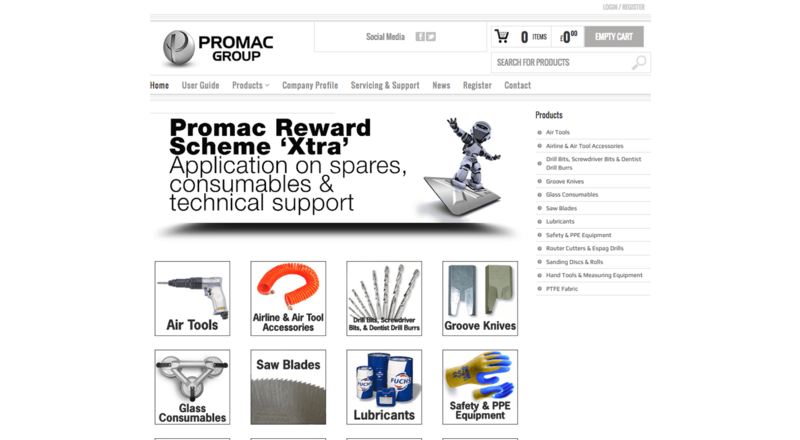 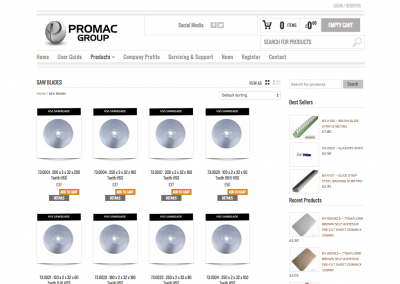 We were asked by Promac to produce an on-line shop where they could sell spares and consumables direct. 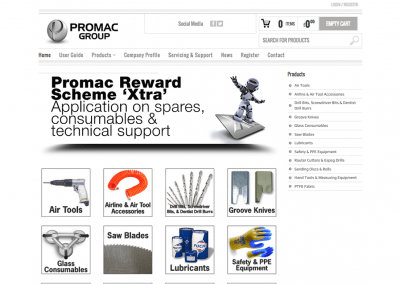 The Shop site is separate and linked by the menu to the main Promac Group site, it was decided at an early stage to build a dedicated site for the on-line sales, as not to distract from the machinery sales. 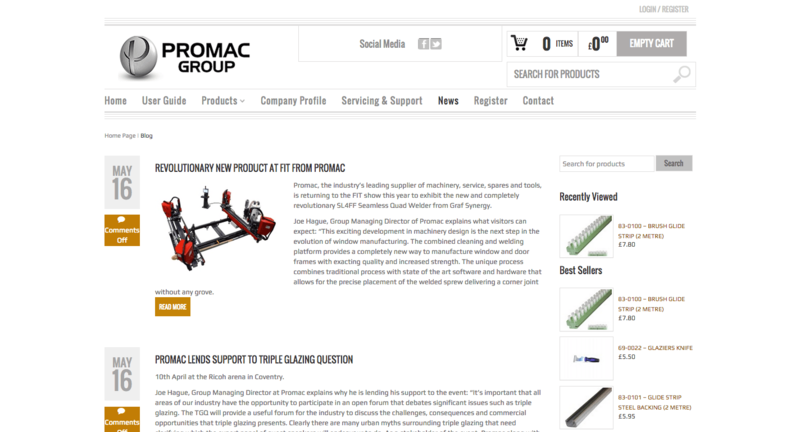 The design had to be minimal, our brief was simply “it does what it says on the can”, and also mobile friendly. 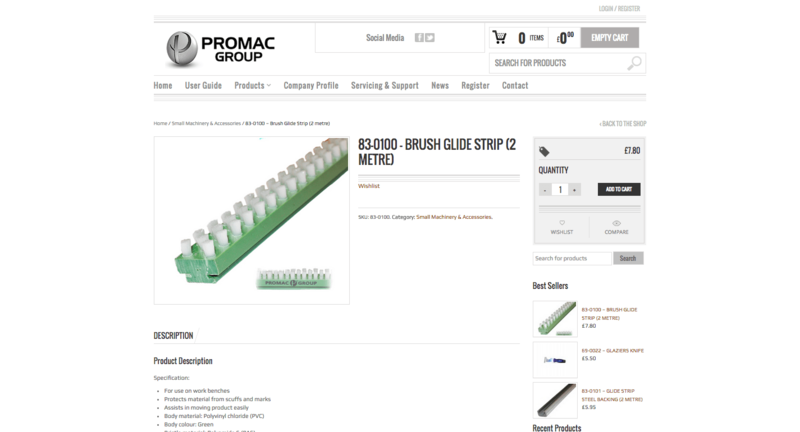 The shop facility allows customers to pay either on a credit or debit card, or existing customer can pay on account and receive an invoice. 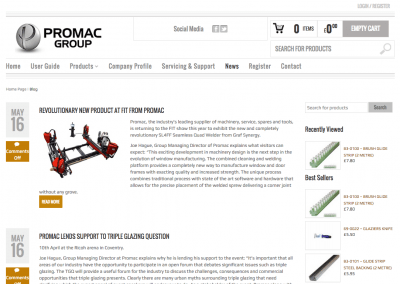 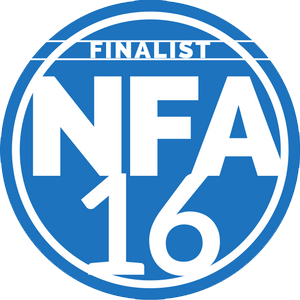 The site is managed by the client after training, with the occasional help from the team at Graffika.